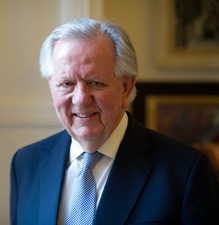 STEVE NORRIS was educated at Liverpool Institute and at Oxford University where he took an Honours degree in Jurisprudence. He served for fourteen years as a UK Member of Parliament in the governments of Margaret Thatcher and John Major. He was Parliamentary Private Secretary in the Department of Environment, then the Department of Trade and Industry and finally the Home Office before being appointed Minister for Transport in 1992 a post which he held until he announced his retirement from parliament in 1997. As minister he was responsible for the Jubilee Line Extension and was the principal advocate of Crossrail, the new metro line spanning London and due to open in 2018. He was twice his party’s candidate for Mayor of London. He is a former member of the board of Transport for London, a Fellow of the Chartered Institute of Highways and Transportation, a Companion of the Institution of Civil Engineers and an Honorary Fellow of the Association for Project Management. He has been at the front line of UK transport policy for more than twenty years latterly as a Commissioner at the Independent Transport Commission. He was a member of the Treasury Growth Task Force for HS2, the planned high speed line connecting London to the north. He sits on the Board of Directors of Cubic Corporation. 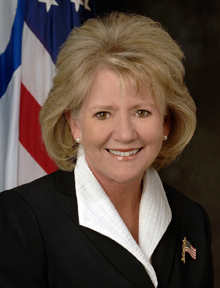 MARY E. PETERS served as U.S. Secretary of Transportation from 2006 – 2009. She oversaw all U.S. aviation, surface and maritime policy and programs and negotiated transportation agreements with foreign governments. Ms. Peters was responsible for over 60,000 employees and a $70.3 billion annual budget.